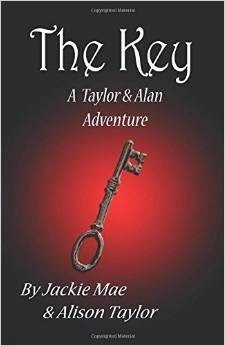 The Wild Atlantic Book Club: "The Key: A Taylor and Alan Adventure"
"The Key: A Taylor and Alan Adventure"
"The Key: A Taylor and Alan Adventure" by Jackie Mae & Alison Taylor is a great read that kids and young teens will love. The story of Taylor and Alan, a sister/brother duo, who are on the hunt for a special key. Set in the time of the Women's Suffrage Movement, this is a very creative and imaginative story. The authors does a nice job mixing age appropriate language with more challenging vocabulary to give readers a challenge without overwhelming them. The dialogue itself was easy to follow which leaves me to conclude that this was written by very competent authors. I’d be interested in reading a part 3 to this series and would definitely recommend it to my friends.